Digging a Hole to the Moon traverses the haunting and beautiful story of a generation struggling to survive the realities of the new recession. This collection chronicles the seemingly despair-filled lives of dreamers who try to find spirituality in the haunted mountains, deserts, and crumbling cities of California – Atheist faith healers, despairing angels, and tired immortals brush shoulders with hopeful teachers, politely-depressed undertakers, and Byronic, suburban street racers as they all search for some impossible transcendence. In the tradition of B.H. Fairchild’s Early Occult Memory Systems of the Lower Midwest, this collection uses overlapping imagery, evolving symbols, and recurring characters to craft and explore a deep, resonant depiction of its time and place. 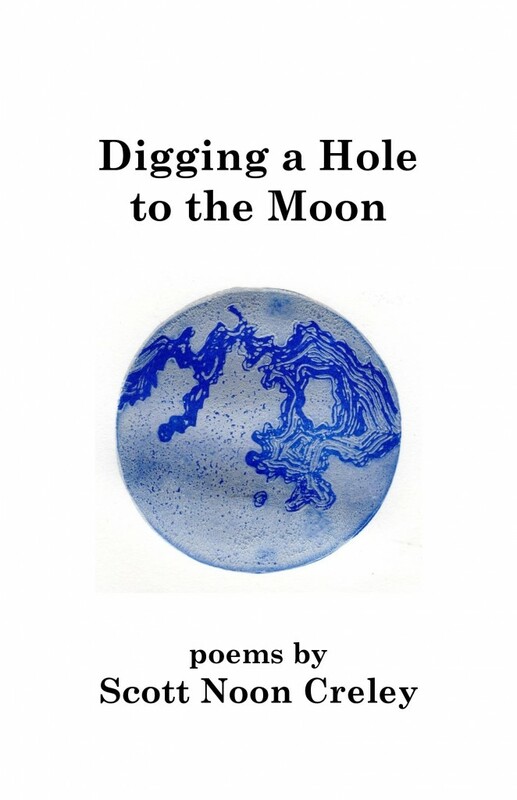 Honest, passionate, imaginative, and well-made, the poems in Scott Creley’s impressive first collection Digging a Hole to the Moon speak eloquently from the heart to the heart. Your heart, and your mind, will be glad you heard.